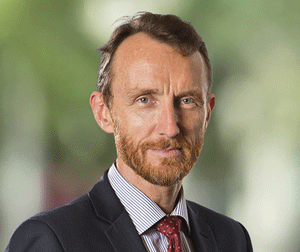 Michael Polkinghorne is a civil and common law qualified lawyer, head of the arbitration group at White & Case LLP in Paris and joint-head of the firm’s oil and gas practice. He has during his career lived in Australia, England, Vietnam, Thailand and France. He has served as counsel and arbitrator in disputes arising in over a dozen countries, notably in the oil & gas sector. He also advises clients in energy and infrastructure development transactions. He has advised and represented petroleum clients on multiple price reopener disputes (gas and renewables), gas supply storage and transit, oil field acquisitions and PSAs. Michael is admitted to practice in Australia, England and France. Michael is a member of the AIPN, the IBA/LPD Task Force for the UNIDROIT Principles 2016, the Chartered Institute of Arbitrators (MCIArb), the IAI (International Arbitration Institute), the ICC Commission on Arbitration, and the Council of the ICC Institute of World Business Law. Michael is also a member of the Legal Advisory Task Force of the European Energy Charter Secretariat that recently wrote the “Handbook on General Clauses Applicable to Investment Agreements in the Energy Sector” (Energy Charter Secretariat, 2017). Michael is also the Editor of the ICC Institute Newsletter – Institute of World Business Law (ICC), and an Assistant Editor of Les Cahiers de l’Arbitrage—The Paris Journal of International Arbitration. Michael has written extensively on energy dispute resolution and foreign investment and provides courses on long-term energy contracts and dispute resolution. He is also the author of the Paris Energy Series, a legal periodical which has covered a plethora of oil and gas related topics. He was also co-author of “Price Re-Openers In Long-Term Gas Supply Agreements” (Juris, August 2015). Michael has written chapters in many other books but does not suggest you read them.